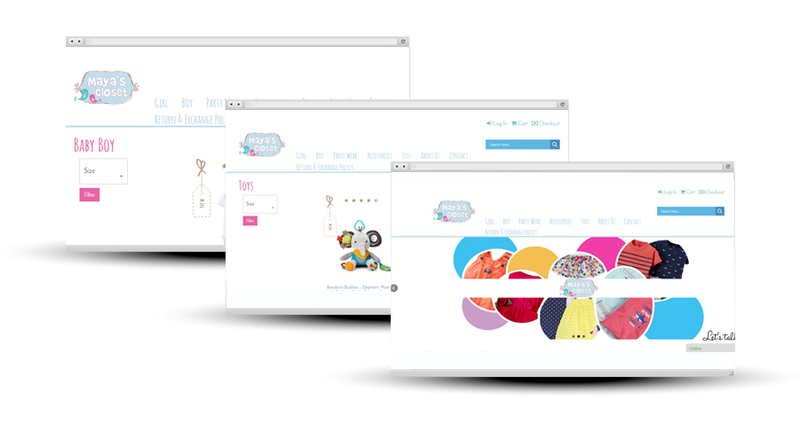 Maya’s Closet is an e-commerce store providing branded imported children’s cloths in Pakistan. We first met the founders at the Pakistan Startup Cup where our director Mr. Abdulrahman Rafiq had been invited to mentor and judge a panel of startups. When Mr. Rafiq first met Mr. Altamash Murad and Mrs. Sabin Murad they had impressive sales numbers with only a Facebook page through which all orders were sourced. However, on the back-end they were struggling between excel sheets, email list and whatsapp and phone orders. What we at Inspurate did for the folks at Mayas Closet was to design and develop a user friendly e-commerce shopping website that is mobile responsive. The platform not only allows customers to easily place orders but also provides a single view for store owners to manage inventory. The entire site was built on the WooComerce and WordPress engine, with extensive customizations.